Session Features - RH-SPORTS Website! 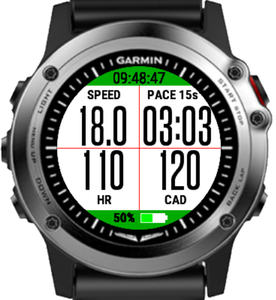 This section describes the session features which are in common for all of our Garmin Connect IQ™ applications. The current session status is indicated by a specific color of the header and footer. Following table provides an overview about all possible states of a training session. NOT STARTED GREY Session not started so far. This is the state after starting the app. Session is running. This is the case after you manually pressed the <START> button. 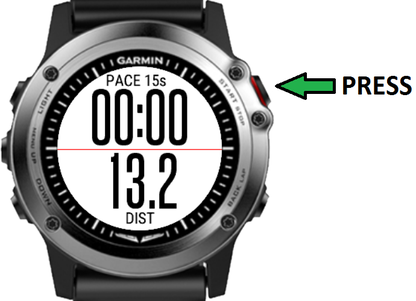 In apps with Auto-Stop feature, the speed must be above the specified limit. In the Skiing App this color indicates that the RUN phase is active. AUTO-STOP LIGHT BLUE Session is in Auto-Stop mode which means that the speed is below the user-defined speed limit. PAUSED DARK RED Session was manually paused by via <START> button and selection of <BACK>. UP ORANGE This color is only used in the Skiing App and indicates that the UP phase is active. After starting the app the session has to be manually started. This can be done by pressing the <START> button as shown in following picture. The session status changes from "NOT STARTED" to "STARTED". This is indicated by showing the header/footer in GREEN color as shown in the picture below. Whenever the speed goes below an app-specific limit the app automatically enters the "AUTO-STOP" mode. When the speed goes above the app-specific limit the app enters "RUNNING" mode again. This is indicated by showing the header/footer in "LIGHT BLUE" color as shown in the picture below. 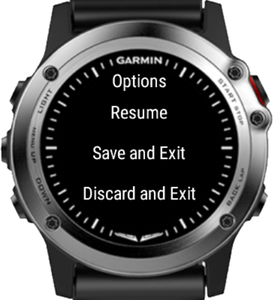 The user can manually pause at any time a session with status "RUNNING" or "AUTO-STOP". This can be done by pressing the <START> button again as shown in following picture. Save and Exit Save session data and close the application. After synchronization with your watch or via Garmin Express Software the training data will be uploaded to the Gramin cloud and will be visible via Garmin Connect. Discard and Exit Discard session data and close the application. Please note that all the session information is lost! Pause Session is paused and allows the user to navigate through the data pages. The session can be resumed again at any time by pressing <START> button and select "Resume".